Providing outstanding customer service is something that all companies should strive for as it sets you a rung above the rest and ensures the loyalty of your customers. 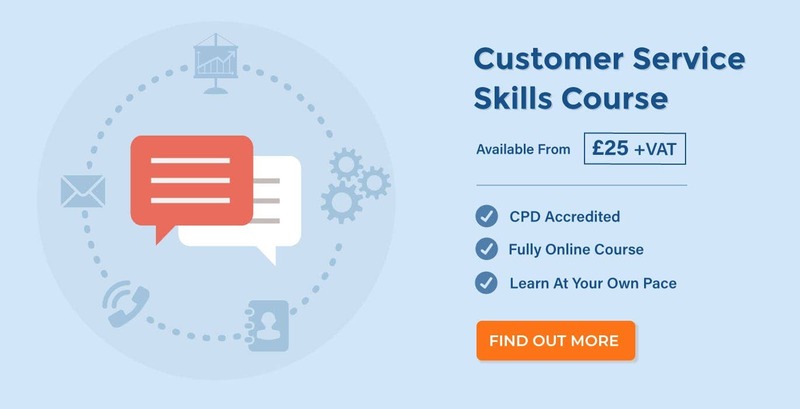 We’ve rounded up our favourite examples of the best customer service experiences out there. Can your company rival these inspiring customer service moments? In May 2011, Lily Robinson, age 3 and ½, wrote to supermarket chain Sainsbury’s to suggest one of their products be renamed. ‘Why is tiger bread called tiger bread? It should be called giraffe bread’ she wrote. 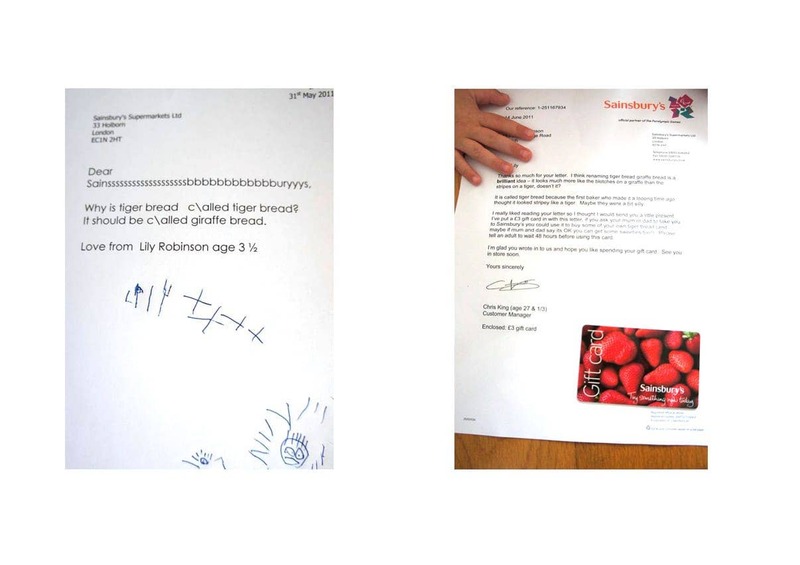 Sainsbury’s customer service team provided a brilliant response to little Lily’s letter, writing back to her in child-friendly language and giving Lily a full explanation of why tiger bread was named as it was. The letter went viral and Sainsbury’s received an excess of positive feedback! In December 2007, Joe Nocera ordered a PlayStation 3 console for his son’s Christmas present from Amazon.com. On the day of delivery, Joe used the online tracking facility to see that his parcel had been shipped, delivered and signed for by one of his neighbours, who had left the parcel downstairs in the hallway. Unfortunately, Joe never saw his parcel and predicted that it must have been stolen. Amazon’s customer service response to this situation was incredible – rather than ignore Joe’s plea, the customer service team immediately sent out a replacement console to arrive on Christmas Eve! Founder and chief executive, Jeffrey P Bezos, has a strong focus on customer experience and proves that sometimes it’s a great idea to take the hit in order to increase customer loyalty. Hotel chain Ritz-Carlton showed an example of excellent customer service in 2012, when Chris Hurn’s family went on holiday to one of the hotels in Florida. On return from their holiday, the family discovered that their son’s beloved stuffed giraffe toy had been left behind. In order to pacify the upset child, Chris told his son that Joshie the giraffe was simply taking a long holiday at the hotel. That night, the Ritz-Carlton called Chris to say that they had Joshie and would return him as soon as possible. To Chris’ young son’s surprise, Joshie was returned in a package containing extra goodies as well as a series of photographs of Joshie on holiday around the Florida resort! Chris’ advice? All businesses should aim to create an experience so amazing that someone can’t help but tell others about it. Online video streaming company Netflix recently had a chat with a customer via their online customer support feature which demonstrates a brilliant way that companies can use the facility in a fun, yet helpful way. The Netflix representative helped out the customer with their problem by calling himself ‘Captain Mike of the good ship Netflix’ and having a light-hearted exchange with the customer. Whilst not suitable in more serious conversations, a bit of joking around meant that the customer left the interaction happy and with a positive opinion of the company! This approach can be much more effective than having a scripted interaction with a robot-like customer service rep.
You can view the whole conversation here. Telecommunications company o2 are known for being a bit friendlier than other similar companies, so it comes as no surprise that their customer service often proves to be outstanding, as was seen in a recent case in 2012 over Twitter. A customer was having problems with his internet router and sent a Tweet to o2 but written in Jamaican patois. Instead of ignoring the Tweet, responding with a generic message or replying in a more serious manner, o2 stepped up to the mark and responded to the customer with a sense of humour and using the same Jamaican language! The response was Retweeted thousands of times and gave o2 a lot of positive press. When LEGO received an email from 7 year old Luka, saying that he had lost one of his Ninjago people at the shops even though his dad had told him to leave the figures at home, the response from the customer service team was utterly inspired. LEGO responded to Luka’s email with a friendly answer and in child-friendly language, saying that they had consulted ‘Sensei Wu’ about the lost figure and would replace it for him, though in future Luka must remember to listen to his dad! This approach makes LEGO look like a friendly and approachable company who really care about their customers, no matter their age. In January 2013, the video game company Bungie Studios (creators of the Halo franchise) made a little boy’s dreams come true when they showed a truly heroic act of great customer service. Brady was a 5 year old boy who had just come out of surgery in hospital. His dad, knowing that Brady was a big Halo fan, reached out to Bungie Studios and asked whether they could help to make his son smile again. Bungie responded by presenting Brady with a Halo tshirt, a get-well card signed by all the workers at the studio and a full-size replica of one of the characters in the game’s helmet! It’s safe to say that Brady definitely got his smile back thanks to the generosity of Bungie Studios. Retailer John Lewis provides excellent customer service on an everyday basis and the basis for this lays largely in the way that their workers, or ‘Partners’, are trained. Having one stand-out customer service moment is great, but having stand-out customer service every time a customer deals with a company is even better. John Lewis Partners are recognised for their achievements and they listen to their customers’ opinions – for example, Partners now wear name badges as customers stated that they’d like to remember who had helped them. John Lewis’ motto is ‘Never Knowingly Undersold’ aiming to provide the best quality on the high street so that customers always receive the best experience possible. Their lead is certainly one worth following. 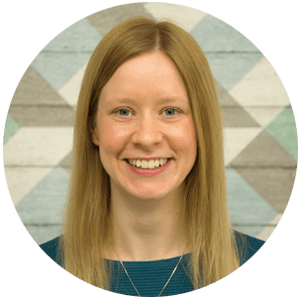 Online fashion retailer ASOS are a fantastic example of a company that uses social media to their advantage when it comes to providing excellent customer service. The ASOS Twitter account has tens and thousands of followers but, rather than using than using the account simply to promote themselves, ASOS actively responds to hundreds of customers with a friendly and caring approach each day. There’s even a separate ‘Here to Help’ Twitter account especially for helping customers with any problems that they have. 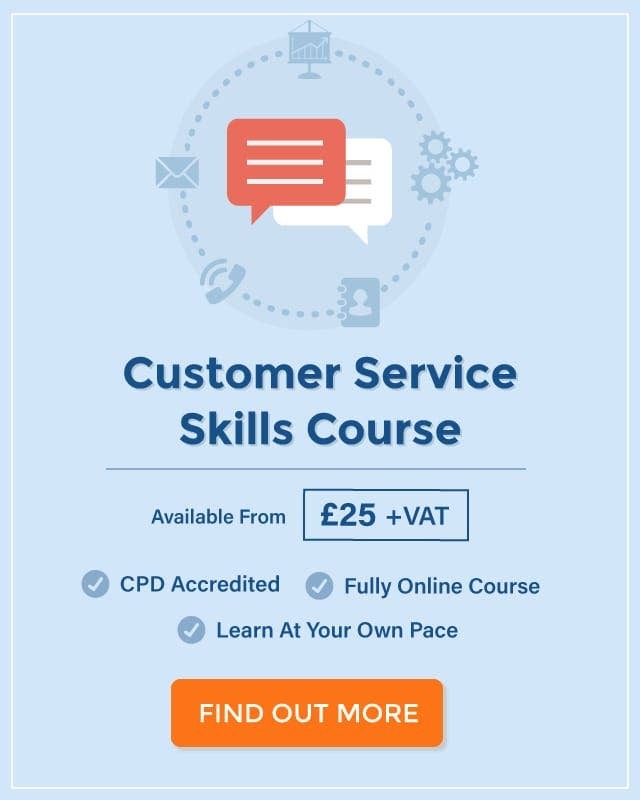 By having such a friendly and pro-active customer service team, ASOS can maintain its following and ensure problems are dealt with effectively before they have time to escalate or result in making the company look bad.